Naked studio in conjunction with Ado Odo oOta entertainers presents. 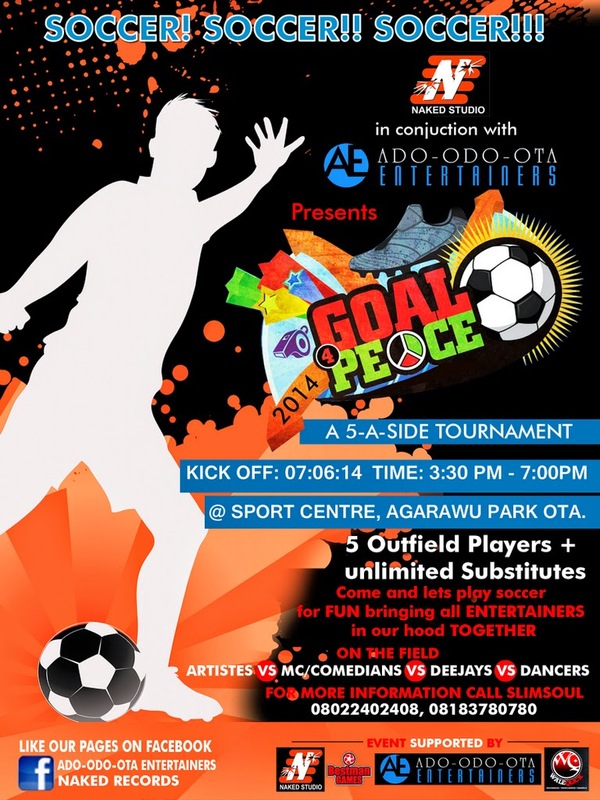 Come and let's play soccer for fun bringing all entertainers in our hood together. Date : 7th June 2014.